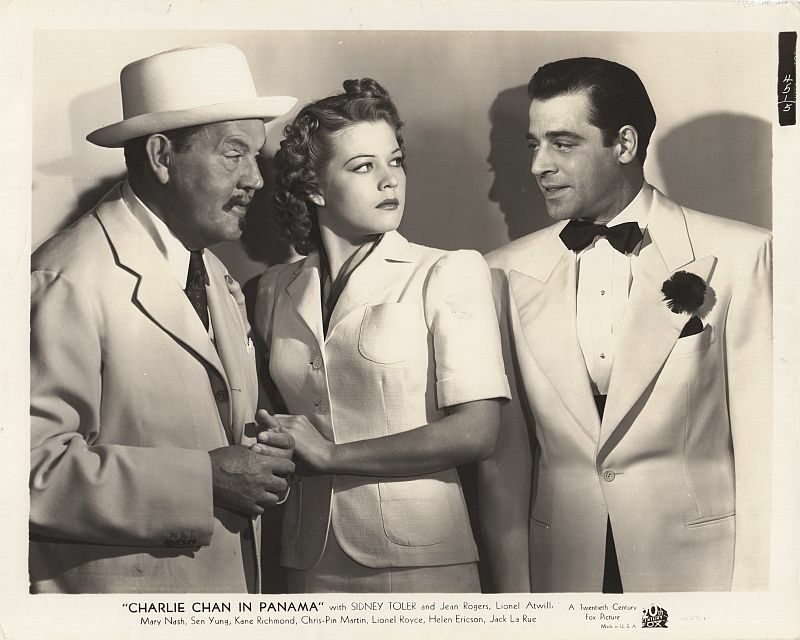 Charlie Chan with Kathi Lenesch and cabaret owner Emil Manolo. 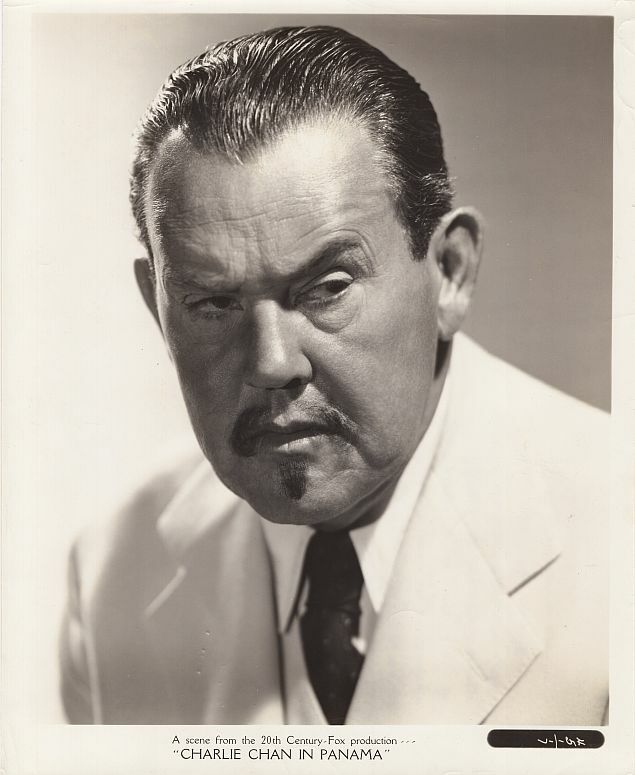 Detective Charlie Chan, working for the U.S. government in the Panama Canal Zone. 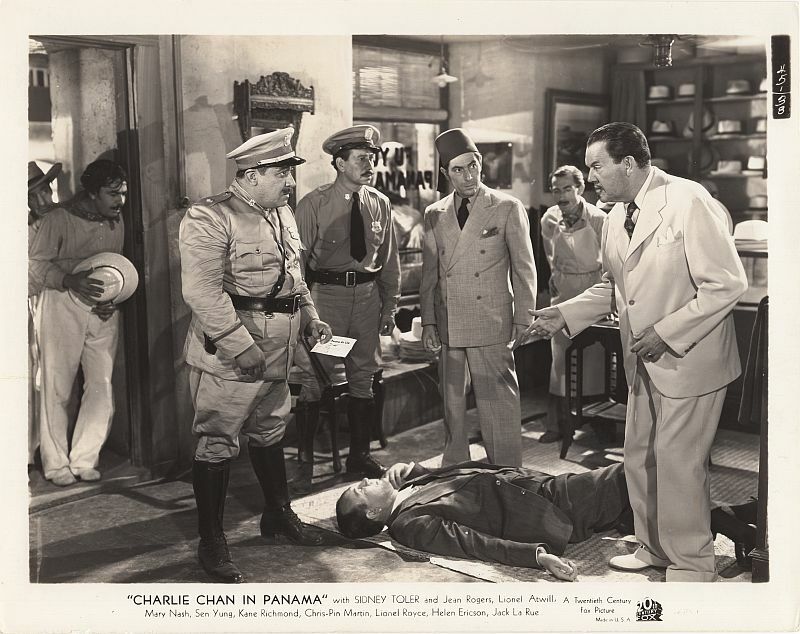 Yuen, as death claims agent R.J. Godley in Fu Yuen's Panama hat shop. 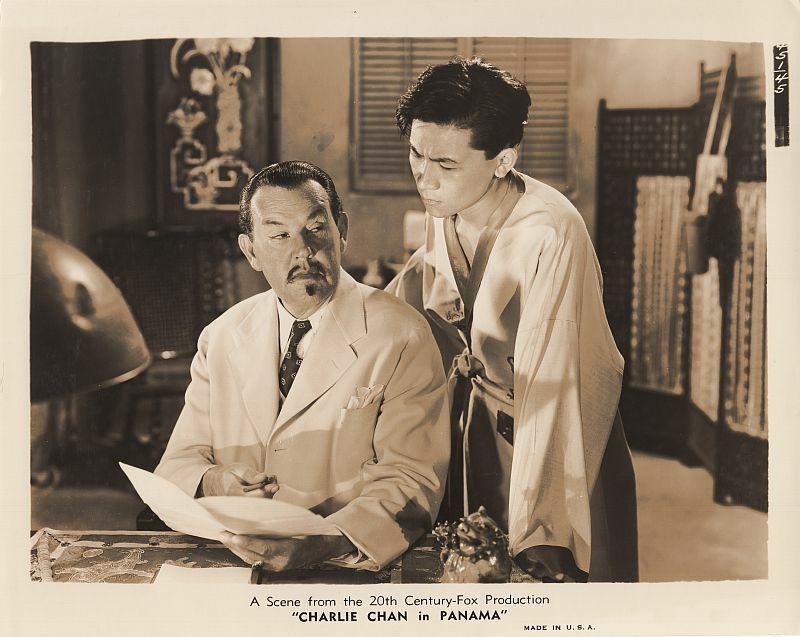 In their Panama City hotel room, Charlie Chan shares information with his Number Two Son, Jimmy. 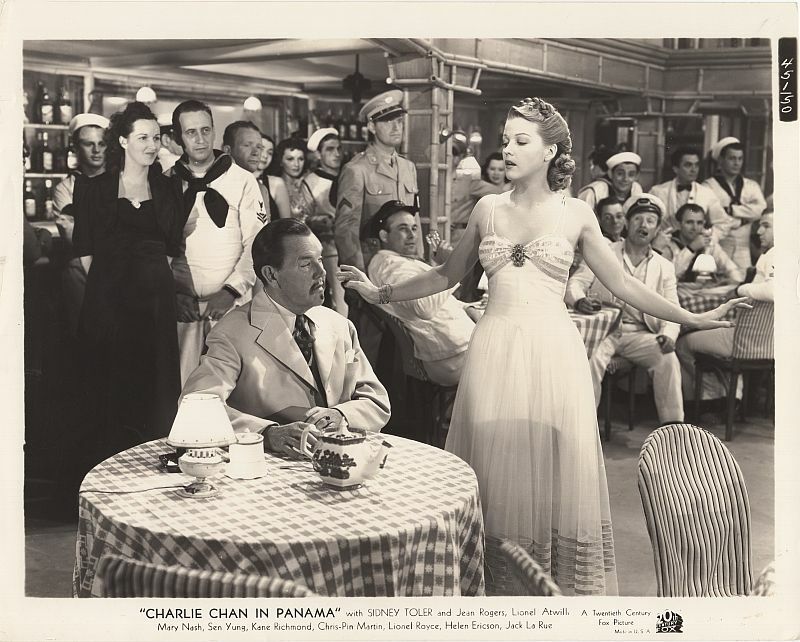 Singer Kathi Lenesch performs at Manolo's Cabaret as Charlie Chan looks on. Charlie Chan meets with Kathi Lenesch and Richard Cabot at the Miraflores power house. 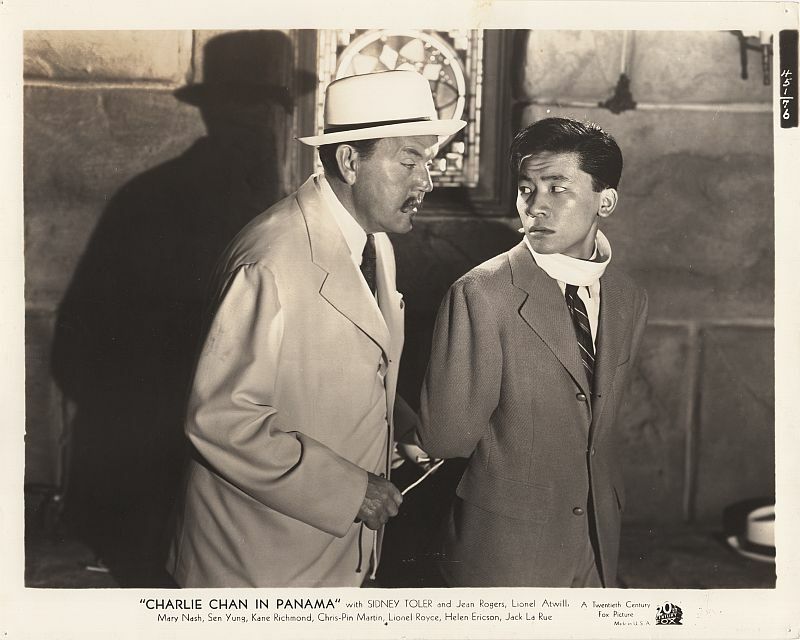 Charlie Chan finds son Jimmy bound and gagged inside of Achmed Halide's family tomb.